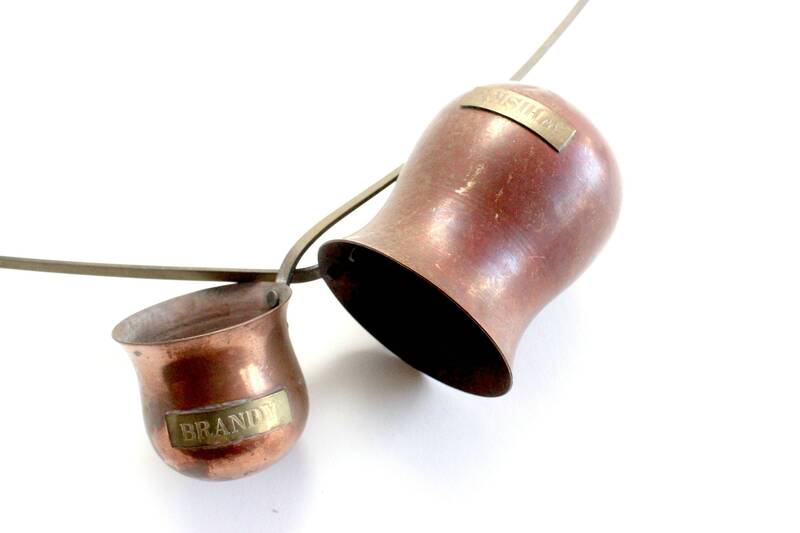 Pair of 2 - Vintage copper liquor ladles with brass name plaques. 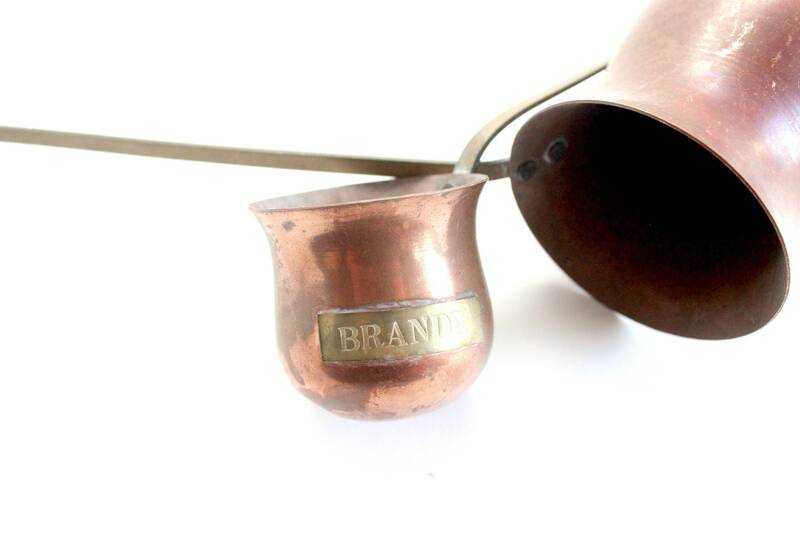 The larger ladle (holds about 4 ounces) is labeled for Whiskey and the smaller ladle (holds about 2 ounces) is labeled for Brandy. 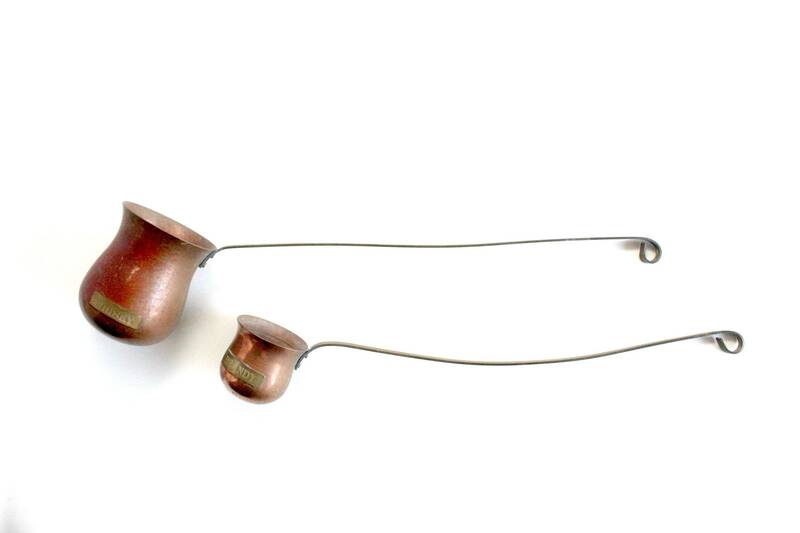 Long handles with hooked ends for hanging. Wear and tear consistent with age. 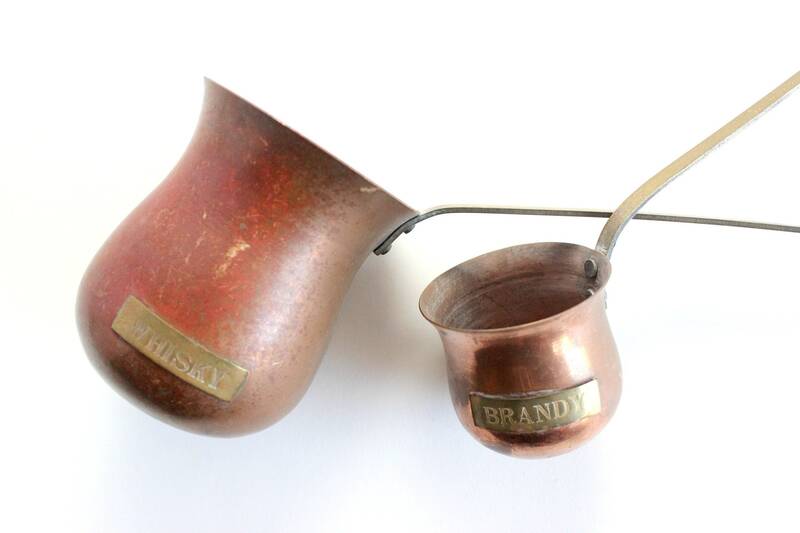 Both ladles have a heavy patina and polishing may be desired. Very light scratches can be seen. 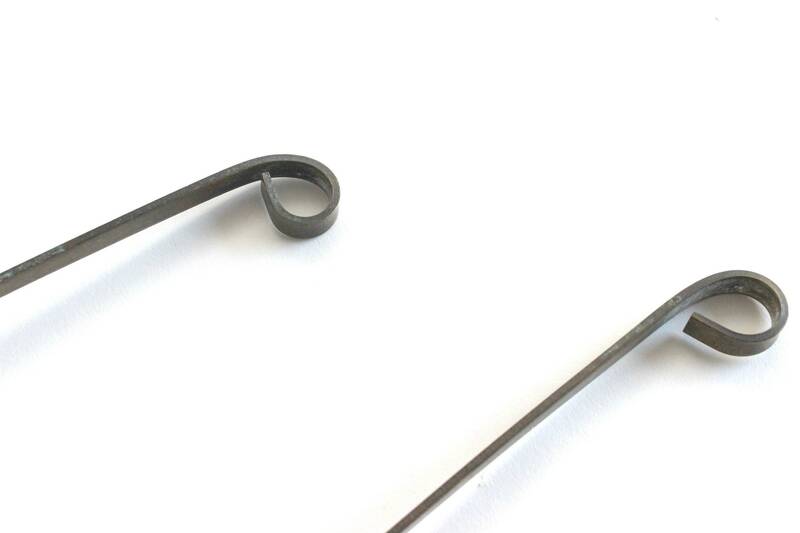 Both ladles measure about 15.5 inches long.